Beijing will become the first city to host both the Summer and Winter Olympics; it was chosen as the location of the 2022 Winter Olympics on Friday, besting Almaty, Kazakhstan for the honor. The announcement came during the 128th International Olympic Committee session in Kuala Lumpur, Malaysia, where officials chose China by a vote of 44-40. China's capital city previously hosted the 2008 Summer Olympics to much fanfare, and it appears that 2008's success is why Beijing was chosen to host the Winter Olympics. By the numbers, the 2008 Summer Olympics offered up the largest age range of athletes, the breaking of 40 world records and the addition of nine new events to say nothing of the elaborate hour-and-a-half-long opening ceremony celebrating China's culture and heritage. 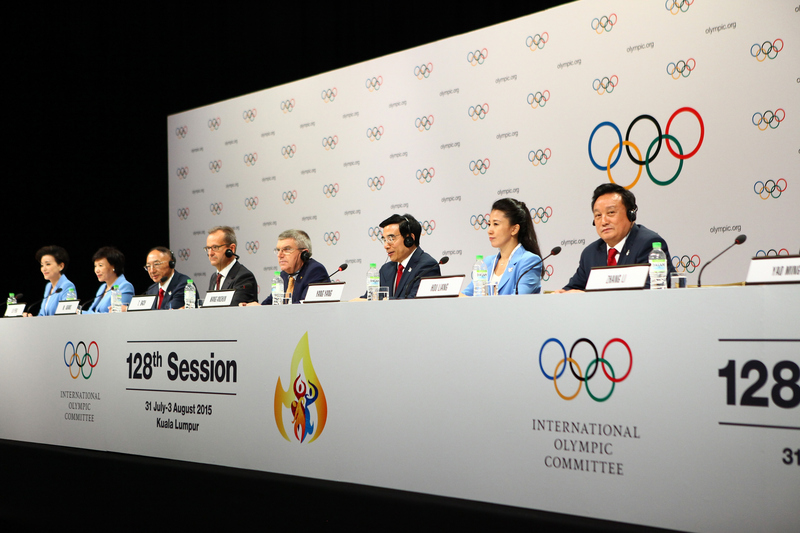 IOC Vice President Craig Reedie explained the decision as a matter of China having already proven itself, telling the Associated Press that the committee "chose certainty in Beijing," while also adding that the results were still a bit of a surprise. "I don't think anybody would have believed that the result would have been that close," Reedie said. Both countries were considered underdogs when the bidding process began in 2013. Initial 2022 Winter Olympic bids spanned six countries, including Norway, Poland, Sweden, and Ukraine. All four dropped out in 2014 for reasons ranging from financials to lack of local support. I think, objectively, we can say that the Chinese authorities have done everything that is feasible and humanly possible to solve the situation or to address the situation. What they have done is extraordinary... The fog you see is based on humidity and heat. Of course, we prefer clean skies but the most important thing is the health of the athletes being protected. Almaty similarly has pollution problems, though the surrounding area is far better equipped for winter sports than Beijing, offering up copious natural snow and mountains as high as 13,000 feet. Both countries are guilty of egregious human rights violations and were the first Olympic bid cities required to sign contracts protecting their citizens and the environment, as requested by the IOC. Aside from the amount of snow, it appears that there are very few differences between China or Kazakhstan hosting the 2022 Winter Olympics, thus the IOC ultimately went with what they knew.